GIF images are really cool and it can be used to showcase how you really feel. Nowadays, GIF images are very popular on social media. WhatsApp and Messenger even added a native place to search and share GIFs. There are also various online places where you can search for the GIF image matching your feelings. Giphy can be a good option to search GIF images. But what if you don’t find exact GIF you are searching. You can create your own customized animated GIF. It is easy and does not need any kind of technical skills. In this post, we are listing few websites which allow you to create animated GIF images online for free. You only need to get images and upload on those websites. Only with few clicks, you will get your GIF image. Take a look in the list. GIFMaker.me allows you ti easily create animated gif images online. It does not ask for any kind of registration for using the tool. Just visit the website, upload images and compose them into a GIF. It works on all the browser with flash player installed. Picasion is another good online tool to create animated GIF images. It offers variety of options. You can import photos from Flickr or from Picasa web album. It can also post images in various social media websites. Unlike GIFMaker.me, it does not require flash to work. Loogix is also a similar kind of tool. It needs at least 3 images to make a GIF. You can use up to 10 images in a single GIF images created by this tool. It also allows various effects such as blur and motley. It can also create GIF from a YouTube video. Gickr is a nice GIF creator tool. 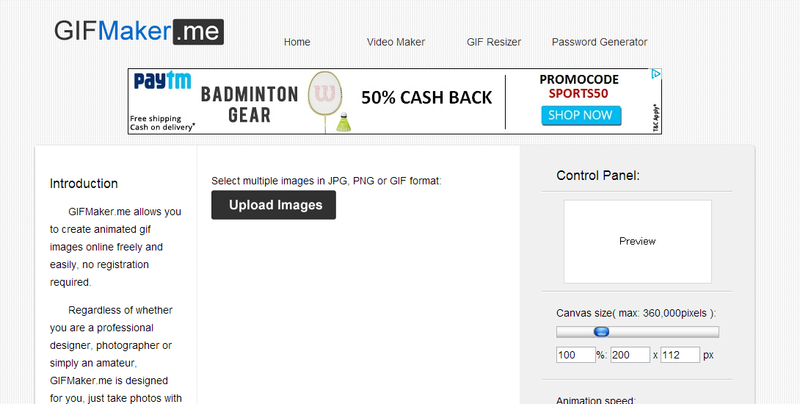 It also lets you upload minimum of 3 and maximum of 10 images to create your GIF image. You can also import images from Flickr or Picasa web albums. ImgFlip is another cool GIF creator online tool. It supports JPG, PNG and GIF image formats. You can set delay time, height and width of the output gif image. You can also upload video or add YouTube video URL to create animated GIF image. 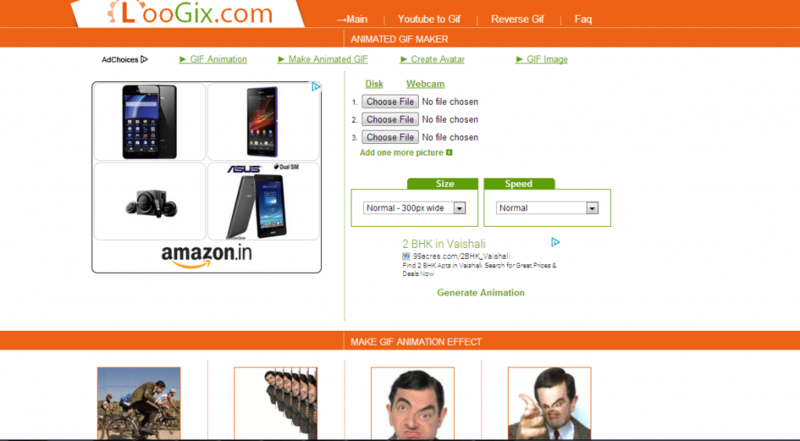 There are various other online tools are available which lets you create GIFs for free. Even if apps now come with search and use GIF function, you must know about places to create GIFs. So, you must know websites added in this list. If you know any other cool tool, share it with us via comments. New Plugin Spell Checks Post Titles Before Publishing; Is It Interesting?